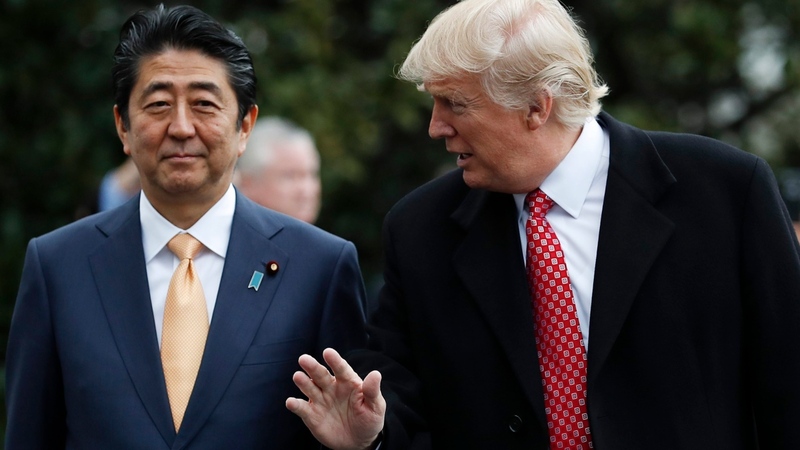 Mr. Trump did not see how ill-fitting it was to boast about American might to the face of Mr. Abe; going on unabashedly about how the Japanese were still second fiddle to Americans. Little wonder then his Japanese trip turned out to be a failure somewhat. He did not get much from them on trade; a major issue for him. Donald Trump, the American president, arrived Beijing on November 8, the third stop on his five-country Asian trip, after earlier stops in Japan and penultimately, South Korea. Heralding his arrival was a reminder about China’s trade surplus with America, which came out at US$26.6 billion for October; making it a total of US$223 billion thus far this year. President Trump would like the reverse to be the case. Unfortunately, it would continue to be a source of frustration for him, and in fact any other American leader who desires that China buy at least as much (if not more) American goods and services, as it goes the other way. Incidentally, China is already making headway in the sophisticated industries that America may have once relied upon to stay ahead; which often are in partnership with American companies in China itself. And even as Mr. Trump tries to bring American companies back home from places like China, with jobs in tandem, the economics still favours them staying abroad; albeit not necessarily in China but in cheaper South-East Asian countries. It turns out, Mr. Trump is scheduled to address the 2017 ASEAN summit on November 14 in The Philippines, where bashful and often uncouth President Rodrigo Duterte may be just the ideal host for his similarly mannered American counterpart. And such is the importance the Americans attach to it that Mr. Trump’s itinerary was extended by a day to accommodate the ASEAN speech. He would not be leaving China empty-handed, though. At least US$9 billion in deals are expected to be made between chief executives of American companies on Mr. Trump’s entourage and their Chinese counterparts, Commerce Secretary Wilbur Ross is reported by CNBC to have said. With a belligerent leadership at the helm and reckoning by the Russians that in two to three years, it could have missiles able to hit America, North Korea remains a thorny issue. On his first day in Seoul (November 7), Mr. Trump struck a somewhat calm tone on the great matter; urging the North Korean regime to come to the negotiating table and do a deal. Next day, while addressing the South Korean legislature, it was the reverse; defiantly telling the communist regime up north not to test America’s might. These are all very well; but the fact is, Mr. Trump achieved nothing there. And the elements came up against him en route the demilitarised zone between the two Koreas, as his chopper could not risk an unanticipated fog. The Japanese, who he visited (November 5-7) before the Korean leg, tried to be gracious at least; they imposed additional unilateral sanctions on North Korea. Not that this could be attributed to Mr. Trump’s persuasive powers: North Korea fired a missile over Japan in a show of strenght recently. Of course, Mr. Trump could not stop himself from taunting Prime Minister Shinzo Abe on why the Japanese did not shoot down the missile. Ever the salesman, he did not forget to make a pitch for how American weapons would be able to easily do just that, though. (The Japanese are officially pacifist but maintain a handful of troops, supposedly for self-defense purposes). A highly likely meeting with Russian president, Vladimir Putin, on the sidelines of the Asia-Pacific Economic Cooperation (APEC) summit in Vietnam, his next stop from China, would no doubt be overshadowed by ongoing investigations back home into the Russian links of Mr. Trump’s associates during his presidential campaign. Mr. Trump did not see how ill-fitting it was to boast about American might to the face of Mr. Abe; going on unabashedly about how the Japanese were still second fiddle to Americans. Little wonder then his Japanese trip turned out to be a failure somewhat. He did not get much from them on trade; a major issue for him. Like China, Japan also maintains trade surpluses with America; albeit at nine percent of the total American trade deficit, it pales in comparison to China’s 47 percent. As if to buttress the point, the Japanese ruled out a Free Trade agreement (FTA) with the Americans, Mr. Trump’s preferred route to dealing with trade imbalances; as opposed to the now 11-country Trans-Pacific Partnership (TPP) trade agreement that he ditched but which the Japanese are keen on, for instance. An FTA with the Japanese would have been hailed by Mr. Trump as a victory. A highly likely meeting with Russian president, Vladimir Putin, on the sidelines of the Asia-Pacific Economic Cooperation (APEC) summit in Vietnam, his next stop from China, would no doubt be overshadowed by ongoing investigations back home into the Russian links of Mr. Trump’s associates during his presidential campaign. Rafiq Raji, a writer and researcher, is based in Lagos, Nigeria.